1-CD with 26-page booklet, 32 tracks. Playing time approx. 76 mns. 'A Man For All Sessions'. 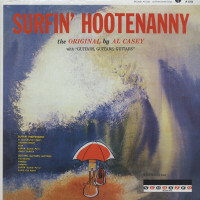 This fantastic package features Al Casey's famous guitar riffs on classic rock 'n' roll staples like; The Fool by Sanford Clark, Endless Sleep by Jody Reynolds, plus his beach favorite, Surfin' Hootenanny. 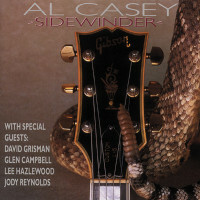 In addition you'll hear Al Casey's original versions of Ramrod and his unreleased demo of Forty Miles Of Bad Road, made famous by Duane Eddy. As one of the original recording and touring Rebels, Al Casey was right there when the architect of Twang, Lee Hazlewood, first created that amazing sound in the tiny Ramsey's Recorders in Phoenix, Arizona. More than just another player, Al Casey's musical contributions are part of albums by Elvis, Sinatra, The Beach Boys, and dozens of others. Lonesome Long John Roller. Another fully loaded Bear Family release with the usual great pictures and notes by musicologists Rich Kienzle and Jon P. Dixon. This is the perfect package to celebrate Al Casey's visit to England in May at The Hemsby Festival, where he will back his old friend Sanford Clark for the first time since the fifties! 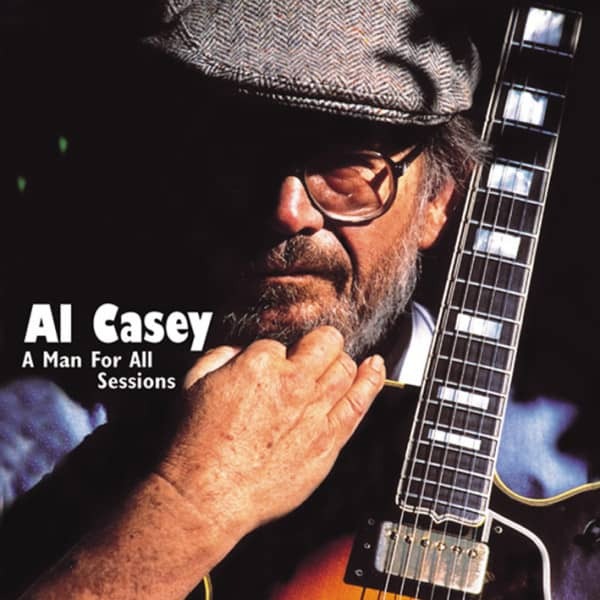 Don't miss the show and look for Al Casey: A Man For All Sessions, in this months Bear Family releases. In the 1950s he looked more like a NASA engineer than a rockabilly guitar ace, but Al Casey could make a guitar roar, scream or ooze bubbling, moody pools of sound. He got label credit for his playing on one single, yet played anonymously on some of the greatest pop and rock records ever made. Actually, there were two Al Caseys. One played the slashing lead guitar that helped make Sanford Clark's The Fool a masterpiece, and created the moody, atmospheric feel of Jody Reynolds' Endless Sleep. 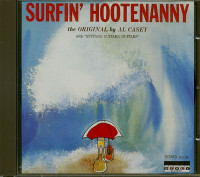 The other Al Casey was part of Hollywood's legendary A-Team of studio musicians, who, during the mid to late 1960s, helped create dozens of classic pop and rock hits, recording with the eccentric Brian Wilson and earning the respect of Frank Sinatra. Duane Eddy knew Casey well. Interviewed for a 1986 'Guitar Player Magazine' profile of Al, Duane remembered that "Al was one of my best friends when I started recording, and even though we've grown apart over the years, and I haven't seen him in a long time, I still admire and respect the work he did on 'The Fool,' 'Endless Sleep' and 'Never My Love.' I'm especially proud of the fact that, like Steve Douglas, Jim Horn and Larry Knechtel--all of whom worked with me--Al became one of the top session players in Los Angeles." Alvin W. Casey's life began in the L.A. area, specifically in Long Beach, where he was born October 26, 1936. His parents hailed from Arkansas, and headed west during the Depression seeking a better life. When his mother's health required a warmer, drier climate, the family moved to Phoenix in 1938. The Caseys' Southern roots included a deep love of country music. Al's dad played guitar, and tried to start his son on the instrument a bit too soon; the boy's hands weren't big enough to handle a full-sized instrument, so he started playing the ukelele. Small hands didn't matter on a steel guitar, and Al was taking steel lessons by age eight, taught by Phoenix music store owner Forrest Skaggs, who doubled as leader of the local country band, the Sunset Riders. Starting with a cheap acoustic instrument, Al soon graduated to a six-string Rickenbacker electric lap steel. Skaggs led him to three outstanding steel guitar role models: Curly Chalker, Pee Wee Whitewing, and former Skaggs pupil Bob White. All were members of Hank Thompson's Brazos Valley Boys during the Fifties. In 1952, Skaggs added 16 year old Casey to the Sunset Riders, which sped up his musical progress considerably. "Forrest used to tell me that one night on the bandstand was worth a week's practice," Casey explained. The Riders became the house band for the KRUX 'Arizona Hayride.' This local Saturday night country music stage and radio show, cloned from the Grand Ole Opry, eventually made it to TV. By then, Al spent less time behind the steel and more time playing guitar, a deliberate choice on his part. "I figured if I played steel, I was gonna get locked into playing country music the rest of my life, and I had other interests," he said. Nonetheless, remnants of Skaggs' steel guitar tutelage remained. Steel guitarists generally used a thumbpick and a metal fingerpick on their right hand index and middle fingers. For a time, Casey used that same configuration to play lead guitar. That focus on guitar introduced him to an entirely new group of musical role models. Chet Atkins and Les Paul left their mark, but so did legendary Oklahoma jazzman Barney Kessel. In the early Fifties, Kessel, who worked out of Los Angeles, boasted an impressive resume. He'd jammed with Charlie Christian in Oklahoma City and later recorded with, among others, Charlie Parker and Artie Shaw. He was the only white musician to participate in the 1940s jazz film short 'Jammin' The Blues' featuring legendary saxophonist Lester Young. "Kessel seemed to be the one I heard players older than me talking about," Casey explained. Once Phoenix radio began playing R&B in the early 1950's, Al also discovered B.B. King's masterful blues playing. He and Sanford Clark, friends since grade school, remained close as adults. Clark, in the U.S. Air Force, had the rare luck to be stationed in his hometown in 1956. During his off-duty hours, he sang in Phoenix area clubs. Lee Hazlewood, a disc jockey at Coolidge, Arizona station KCKY, had musical ambitions beyond radio. Anxious to kick-start his career, he wanted someone to record his original song, The Fool. 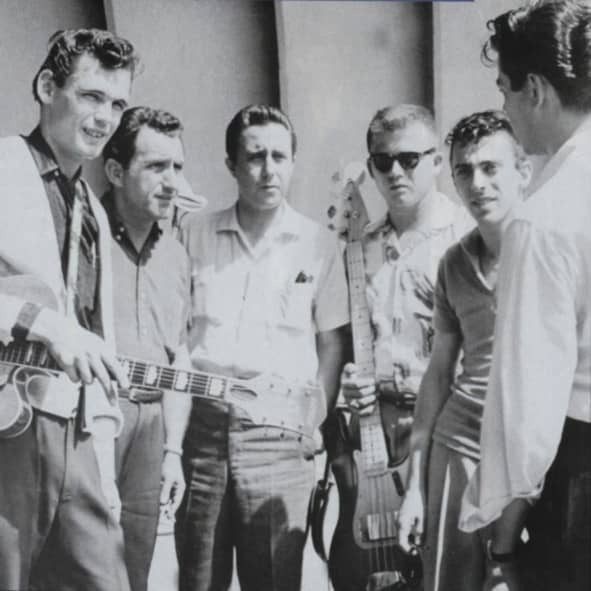 Casey suggested Clark as the vocalist, and Hazlewood set up a session in March of 1956 at Floyd Ramsey's Phoenix studio, which echoed the loose, fertile creative atmosphere Sun Records owner Sam Phillips established in Memphis. Phillips had a tape echo system to produce his legendary 'slapback' sound. Ramsey's Recorders (later Audio Recorders) had a homemade echo chamber created from a metal tank. Customer evaluation for "A Man For All Sessions - Arizona Studio Works"